Now, that was an embarrassment in liberal New York. By mixing the recent demonstrations over the police killings of Michael Brown, Eric Garner, and others into the same sentence with the assault on Mumbai and the Charlie Hebdo affair in France, he seemed to be equating civil protest in the Big Apple with acts of terrorism. Perhaps you won’t be surprised then that the very next day the police department started walking back the idea that the unit would be toting its machine guns not just to possible terror incidents but to local protests. A day later, Bratton himself walked his comments back even further. (“I may have in my remarks or in your interpretation of my remarks confused you or confused the issue.”) Now, it seems there will be two separate units, the SRG for counterterror patrols and a different, assumedly machine-gun-less crew for protests. Since 2013, the Pentagon has transferred for free more than 600 mine-resistant ambush-protected vehicles, or MRAPs, worth at least half a million dollars each and previously used in U.S. war zones, to various “qualified law enforcement agencies.” Police departments in rural areas like Walsh County, North Dakota (pop. 11,000) now have their own MRAPs, as does the campus police department at Ohio State University. It hardly matters that these monster vehicles have few uses in a country where neither ambushes nor roadside bombs are a part of everyday life. Post-Ferguson, a few scattered departments have actually moved to turn these useless vehicles back in. It’s clear, however, that police forces “kitted out with Marine-issue camouflage and military-grade body armor, toting short-barreled assault rifles, and rolling around in armored vehicles” — that is, almost indistinguishable from soldiers — are now the future of American policing and there’s no walking that back. Since Ferguson, President Obama has essentially refused to do so and Congress certainly won’t. Despite a small uproar over the pile of military equipment being transferred to the police, there is no indication that the flow will be stanched. When it comes to all this militarized equipment, as the president has emphasized (and the task force he appointed to look into these matters will undoubtedly reemphasize), “reform” is mainly going to be focused on “better training” in how to use it. In other words, reform will prove to be a code word for further militarization. And don’t count on anyone returning those 94,000 machine guns either in a country that seems to be in some kind of domestic arms race and in which toddlers now regularly find their parents’ loaded guns and wound or kill them. 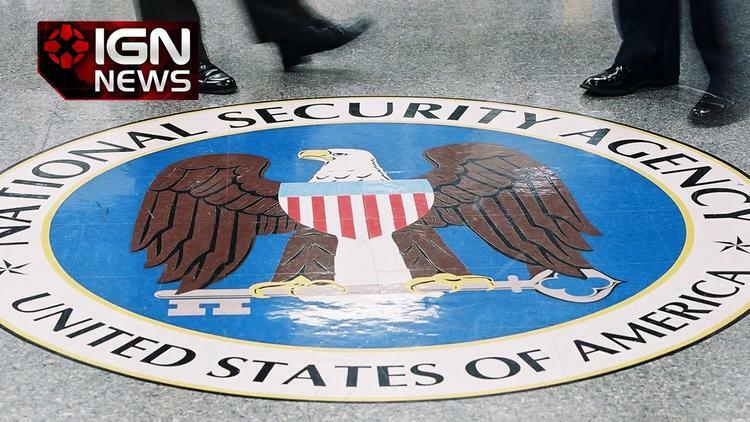 Consider the National Security Agency. In June 2013, it was faced with the beginning of a devastating rollout of a trove of top-secret documents exposing its inner workings. Thanks to Edward Snowden, Americans (and Germans and Brazilians and Mexicans and Afghans) came to know that the agency had, in the post-9/11 years, set up a surveillance state for the ages, one for which the phrase Orwellian might be distinctly inadequate. The NSA was listening in on or intercepting the communications of 35 chancellors, presidents, and other world leaders, the secretary-general of the U.N., the offices of the European Union, foreign corporations, peasants in the backlands of the planet, and oh yes, American citizens galore (and that’s just to start down a far longer list). All of this effort has — from the point of view of “intelligence” — been remarkably expensive but (as far as anyone can tell) relatively useless. Few terrorists have been found, next to no plots broken up, and little useful, actionable intelligence provided to the government, despite the yottabytes of data collected. The whole effort should have been written off as a bust and scaled back radically. The agency’s methods arguably violated the Constitution, made a mockery of the idea of privacy, and tore up sovereignties of every sort. Instead, that global surveillance system remains embedded in our world and growing, its actions sanctified. Similarly, the CIA outlasted Senator Dianne Feinstein. After years of effort, a truncated, redacted version of the executive summary of the Senate Intelligence Committee’s Torture Report that she oversaw was finally released, filled with American horrors and barbarities. The result, as with Snowden’s revelations, was nada. For torture, no one at the CIA is to be held responsible or accountable; nor did the CIA pay any price for hacking into the computer systems of the committee’s staff or turning on the woman once known as the senator from the national security state. The whole process seemed to signal that congressional oversight of the U.S. intelligence community was now more fiction than fact. The process of expanding that shadow government and freeing it from supervision has, in fact, been unending. Only last week, for instance, the Obama administration announced that the 17 intelligence outfits that make up the U.S. Intelligence Community were about to get a new baby. Amid a thicket of outfits now devoted to cyberintelligence, including “cyber-operations centers” at the Department of Homeland Security, the FBI, and the National Security Agency, the new Cyber Threat Intelligence Integration Center, which will be housed in the Office of the Director of National Intelligence, will “analyze cyberthreats and coordinate strategy to counter them.” It will assumedly be the civilian equivalent of the military’s 2009 creation, the U.S. Cyber Command. And keep in mind that all this is happening in the country that is responsible for launching the planet’s first cyberwar. Or consider another growth industry: drones and their progeny. They are spinning off into domestic air space at a startling rate and can now be found from America’s borderlands to thousands of feet up in the skies above commercial jetliners to the White House grounds (reportedly thanks to the recreational activities of a drunken employee of the National Geospatial Intelligence Agency). Abroad, Washington’s drones have been this country’s true “lone wolf” hunters, inflicting terror from the skies on Iraq, Afghanistan, Pakistan, Yemen, Somalia, Libya in 2011, and most recently Syria. In five of those seven countries they have been at it for years, in the case of Pakistan flying hundreds of strikes in its tribal borderlands. Washington’s grimly named Predator and Reaper drones have been hunting their prey in the backlands of the planet 24 hours a day for more than a decade now. Thousands of people have been wiped out, including women, children, and wedding parties, as well as numerous significant and insignificant figures in terror outfits of every sort. And yet in not one of those countries has the situation improved in any significant way in terms of U.S. policy goals. In most of them it has grown worse and the drones have been a factor in such developments, alienating whole populations on the ground below. This has been obvious for years to counterinsurgency experts. But a reconsideration of these drone wars is beyond the pale in Washington. Drone assassination is now a sacrosanct act of the American state, part of a “global” war 13 years old and ongoing. No one in any position of power, now or in the immediate future, is going to consider flying them back. The CIA has sometimes been called the president’s private army. Today, it’s running most (but not all) of Washington’s drone campaigns and so those robotic lone wolves could be considered the president’s private air force. In the process, the twenty-first-century White House has been officially and proudly turned into an assassin’s lair and don’t expect that to change in 2016 or 2020 either. In this way, the White House has in our time become a war-making and assassination-producing machine. In the same period, terror groups and membership in them have leapt across the Greater Middle East and Africa; no terror organization has been destroyed (though the original al-Qaeda, a modest enough outfit to begin with, has been weakened); most have expanded; the Islamic State, the first mini-terror state in history, has taken over significant parts of Iraq and Syria and is expanding elsewhere; Libya is a chaos of competing militias, some of an extreme Islamic nature; Yemen is believed to be in a state of collapse with al-Qaeda in the Arabian Peninsula on the rise; Afghanistan remains a war disaster area; Pakistan is significantly destabilized; and so on. And yet, as the president’s authorization request indicates, there is no walking any of this back. In the meantime, on the domestic front in this “too big to fail” century, the country that eternally sallies forth under the banner of democracy has been working on a new political system which, as yet, has no name. Here’s what we do know about our latest version of “democracy”: in a period when plenty of American citizens weren’t too small to fail, the inequality gap has grown to yawning proportions. On the principle that what goes up must come down, some part of the vast infusion of money flowing to the .01% or even the .001% has, with a helping hand from the Supreme Court, been raining down on the electoral system. And keep in mind that, as the U.S. changes, the world does, too. Consider it a form of reverse blowback, as from drones to surveillance to cyberwar, Washington helps lay the groundwork for a new more extreme century in which, from sovereignty to privacy, boundaries are there to be broken, new kinds of weaponry to be tested out in the real world, and new kinds of conflicts to be launched.